For 15 years, Baltimore rock ‘n’ roll energizers J. Roddy Walston & The Business have been tearing up the independent music circuit. Walston brings a vintage flair with his talents on piano and guitar while guitarist Billy Gordon, drummer Steve Colmus and bassist Logan Davis round out a stellar sound. The band walks the line between a classic rock homage and contemporary alt-pop with their fourth studio album Destroyers of the Soft Life that came out on Sep 29 from ATO Records. It’s harmonious and emphatic with a heartfelt vibe. Walston gets soulful with his vocals in various songs while conveying a sense of longing. The band’s latest release is a bit more refined than their previous releases. Walston & The Business maintain their trademark raw and fierce aesthetic, but this record definitely leans towards being more accessible to the casual music listener. There’s a solid rhythm from start to finish and there’s nothing about the album that’ll leave the ears feeling bored. It’s a testament to the band’s steady rock ‘n’ roll progression that also shows Walston’s fearless way of songwriting. Long time fans are sure to appreciate the new album, while people who are just getting introduced to them are bound to be impressed with what they hear. Colmus’ drums and Walston’s piano are the main musical focus of “You Know Me Better” – the chorus is hypnotic while the downbeats have a seismic presence. “Bad Habits” deals with personal demons, and both Walston’s and Gordon’s guitars have a dreamy sound; whatever pedal they got to make their riffs sound like that, I suggest any guitarist get immediately. With a wail and a holler, “Blade Of Truth” roars and is an example of that driving and forceful sound. 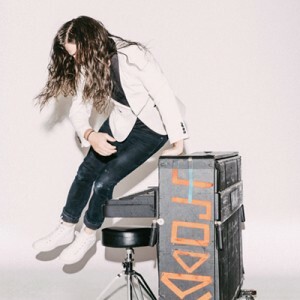 J. Roddy Walston & The Business started a tour of the southern United States at Duling Hall in Jackson, MS, on Oct 4. Unfortunately, they won’t be rolling through New England this time around but hopefully they’ll be coming sometime soon. For now, grab a copy of Destroyers of the Soft Life. It’s a record that’ll leave a lasting impression.